Dubrovnik public transport includes car taxis as well as taxi boats that you can use to go around the town. 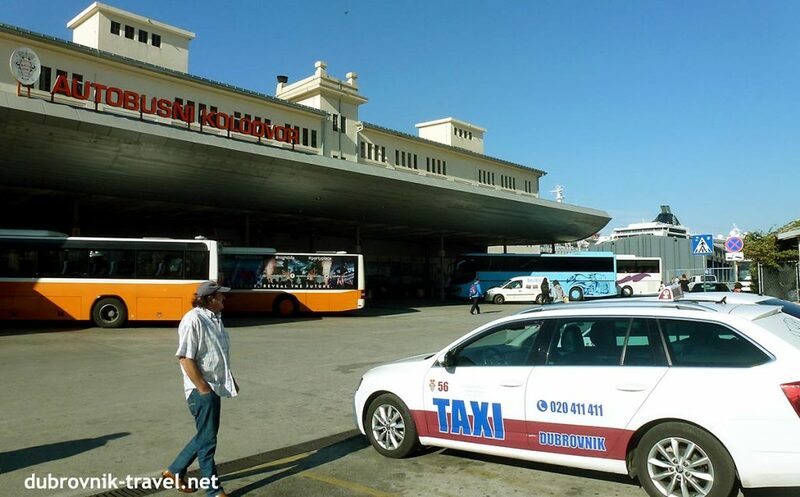 Car/ land taxis can be convenient if the public transport (bus) is not available or not sufficient or you simply prefer a private taxi that can take you to the door of your desired destination. Taxi boats/water taxis is a great transport option for getting to, for example, right to the heart of the Old Town from Gruž or Lapad and avoiding traffic jams. However, they tend to be slower, difficult to find and more expensive. At present, I would say the best taxi option is to get a car taxi. There is also a Uber taxi service in Dubrovnik, much cheaper than a regular taxi, the service is great (i use it all the time when I’m there) and I see no reason not to use it. You can get by taxi to Old town only to Pile or Ploce gate as old town historic centre is car-free zone. Also, in theory hailing a taxi on the street doesn’t work, however, in my experience, taxi drivers here tend to stop (if they are not busy) so there is no harm in sticking out your arm when the taxi is approaching as it may stop at give you a ride. as anywhere else, additional luggage, late-night trips and public holidays ride increase the initial prices.